Fortunately, the fix is easy! But first, a little background information on the problem. Every time an email attachment is opened in Outlook, then a cached copy of the attachment is created within an Outlook temporary OLK folder. This folder is generated with a random name and therefore is different for every user. 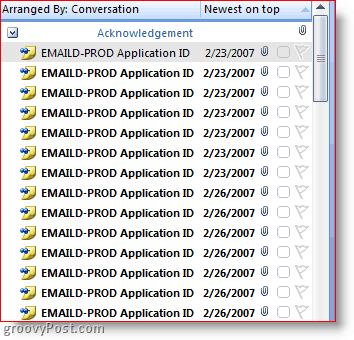 To see this folder, view the registry key from the user’s profile based on their Outlook version. 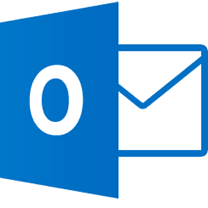 I wrote a post earlier on how to Find the Microsoft Outlook Temporary OLK Folder. Take a look there for a MAP which details the location of the OLK folder for all versions of Outlook. Browse to the Outlook Temp OLK folder (also known as the OutlookSecureTempFolder) and delete all files matching the “<attachment name>(number).” Typically the list of cached attachments is not cleared out automatically and has reached the number of (99). Due to long file names, the cached attachment name is not able to grow any higher and therefore file creation fails, which sends a notification to the user (hence the error message). But once the cached files are cleared out, the user should once again be able to open the attachments after restarting Outlook. FYI – As a security measure, I recommend you delete ALL files in the OLK folder regularly OR, encrypt the entire folder using Microsoft EFS. Questions or Comments let me know here or in the forum! REM and purge the folder to allow room for temp items to be created. REM at which point it deletes the referenced location. Thank you. Worked for me! REM and purge found folders, allowing room for temp items to be created. This is awesome. However, the short version does not work for Office 2003 (and likely for older) due to hardcoded “12.0” in the reg query. My users often have the problem with many AS/400 reports that are distributed daily as attachements with same name. I looked at the registry and found the OLK location. When I went to looked for it I coild not find the OLK folder. Not sure what to do next. Thanks! @Jon – Welcome to the site! Hi Jon, did you try to just cut and paste the location found in the registry into the RUN command box? Click Start Button, Run, Paste in OLK location found in the registry. What happens? Does it open or? You running Vista or XP? Thanks for the tip – just following through the steps has helped me resolve my Outlook problems of opening word attachment files from a particular user . Good stuff. you code there how do i implement that? in the registry or in a bat file? please let me know id love to use it. Man was I glad to find this. solved an issue we had with a file. she had 1300 items in this folder and we could not get them out. :) Glad it helped you out Lindseyh! I have a user with this problem but when we cleared the OLK files and rebooted she’s still getting the error message “Can’t create file…”. Please ignore my earlier post, I just found the problem. The user has multiple OLK folders. I only found this by doing Start, Run, %temp% then going to View, Explorer Bar, Folders. I was able to look at the users temporary internet files from there and found a separate OLK folder which was full! Obviously this OLK didn’t show up in the user’s registry. 2 was unexpected at this time. Thanks For The Info. I modifed the more simple batch file. We had a similar problem at work but someone had used another method mentioned in a separate tip that recommended to “just delete the OLK folders.” The problem with this was that the registry key referred to by Inferno999 above still wanted to save the documents in the original OLK folder, but it wasn’t there anymore and Outlook (2003) wouldn’t recreate a new one. To fix the issue I just edited the path in the registry value that specified the temp directory (i.e. the “OLK” file) to a new directory I created. I think the other methods mentioned here are preferred but if you get stuck this could hopefully help. Be very careful with Duey’s batch in post 14. If your home drive is not C:, then you will be deleting anything in the root. Change “C:” to the appropriate drive letter to suit your needs. @duey, 1st off, Thanks for the great script. Just a not though. This will change the drive letter to the system root drive regardless of letter. Now you can view and open any OLK## folders and delete the contents as needed. Turns out Windows forgets to protect the OLK folder if you approach it as a network share. BTW this works across the network to other computers you have admin rights to. just wanted to say thanks for the bat file. I have a client that constantly gets this error with their ERP software due to the amount of docs that they email out of it. I have found a shotcut that let me open the OLK folder. It has been on all the machines in our Office that I have checked so far. Using XP SP2 and Office 2003. The shortcut can be copied to desktop for easy access and will let me see, access and delete the files as I want. You may get a security warning message when you try to open the folder, just continue on and it will open. Thanks to everyone who has posted. Interesting how some fixes worked for some people and not others, including me. Through all of the clues though, and trial and error, here is what worked for me. First, I looked up the map in the registry key as suggested, then went to the folder mentioned but it was not there. Seems I must have deleted it on my own or through some cleaner program… I have used many. What I did was to change the directory path in the registry key to just the office folder and it worked!! Thanks to Mike Harris. I was in the same boat. I could not find the folder. The last two extensions were not there. I changed the directory path to last folder in path that I could find and IT WORKED!!!!!!!!!!! Hey glad to hear it worked. Sorry bout that! Mike, your solution works for me too. Thanks. Thanks to you for this awesome article. I’ve read id a couple of months now and they are always very informative. Thanks! One thing that I have always done and maybe it is wrong let me know. But I have always used CCLEANER.com (portable version for no install) to clean out the temporary files on the users computers. It seems to work everytime. thank you. You saved my life today. 300 page document!!! Your welcome! That’s what we do here at groovyPost. We save lives! Iam facing the same problem in windows7 and i am not able to find out ‘OutlookSecureTempFolder’ in registry. Though i have msoffice 2007. CCleaner will correct this problem too Just run it. I used this solution when I had trouble finding the OutlookSecureTempFolder. ;) this will bring you right to the securetemp. you wont be able to view it if your trying to go through explorer unless you put the direct root into the address bar. Thank you Steve, this has been of much help! Awesome Neil. Glad it was a help! My client got a brand new Dell laptop, windows 7, 64bit Office standard 2010. All the latest patches, etc. I’ve not been able to find a fix for this, and every time I get dell involved trying to invoke the warranty, they think I’m nuts, cause of course, it works fine while they’re watching. Thank you.It worked for me. Deleted all the files in C:/temp0, problem solved. No problem, was an easy fix.